Intellectual property (IP) law is a growing practice area that protects creations of the human mind. These creations might include inventions that qualify for patent protection or literary and artistic works such as books, plays, music, and artwork. They can also include product names, slogans, logos, and packaging; symbols, names, images, and designs used in commerce; and trade secrets. Intellectual property is an organization's most valuable asset. New developments in science and technology have created the need for lawyers with specialized backgrounds in these areas to help protect the intellectual capital of businesses, authors, inventors, musicians, and other owners of creative works. In today's competitive landscape, demand for intellectual property lawyers is growing. As long as invention and innovation exist, IP lawyers will be needed to procure the rights to new ideas and protect the ownership of existing creations. Even recession affects other law practices, intellectual property law typically continues to thrive because people do not stop imagining. They don't stop creating and manufacturing new and better ways to do things, and creators want to protect their rights to those ideas. The growth of the internet has created a surge in IP crimes, particularly hard goods piracy, internet piracy, and cybersquatting—the abusive registration of trademarks on the Internet. 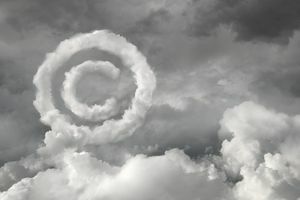 Content protection and electronic rights in the digital age are fast-growing IP niches. China and developing countries are enacting sophisticated laws and paying greater attention to IP enforcement, fueling the growth of intellectual property law internationally. Intellectual property lawyers counsel their clients on establishing and protecting intellectual capital. Most IP law practices handle matters such as patents, copyright, trademark law, licensing, franchising, distribution, technology transfers, and trade secret projects. Intellectual property lawyers also assist in licensing inventions, transferring proprietary technology, drafting licensing agreements, negotiating settlements, and conducting IP asset due diligence. IP lawyers might litigate intellectual property matters around the globe, representing clients in federal and state courts and before administrative agencies such as the U.S. Patent and Trademark Office and the International Trade Commission. IP attorneys frequently consult on creative ideas and develop new ideas that will increase the value of their clients' IP portfolios. They also advise on new rules and regulations governing the protection of unique ideas. You'll need a law degree and you'll have to pass the bar in your state. In addition to all that, most intellectual property lawyers possess scientific, engineering, or technology-related degrees as well. This specialized scientific or technical education and hands-on industry experience can help IP lawyers lend their expertise to a wide range of industries, including biotechnology, pharmaceutical law, computer engineering, nanotechnology, the internet, and e-commerce. As of 2017, the median annual salary for an IP attorney is in excess of $159,000 a year. Of course, this can depend on your location of practice—metropolitan area salaries are typically more—and your reputation and track record, which can make you indispensable to firms and clients. Overall, salaries range from about $142,000 to $173,000. Interested in the highest paid legal jobs? Learn more. What Should You Know About a Career in Tax Law? What Is Special Education Law?